"Redcaps Win Wage Suit $88,500 Award to 41" -- an article about a suit brought by the Brotherhood of Railway and Steamship Clerks to determine whether tips should be included in wages. 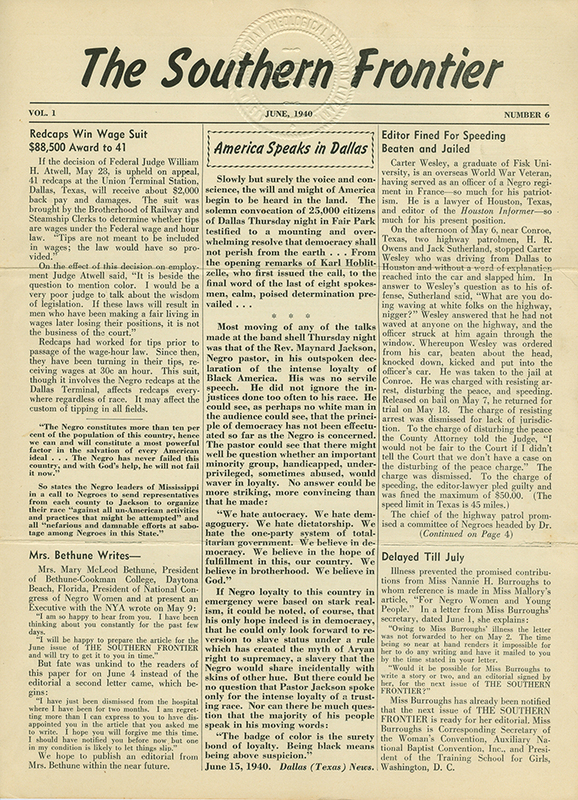 “Editor Fined For Speeding Beaten and Jailed” – An article about Houston, Texas lawyer and newspaper editor Carter Wesley, pulled over for speeding by two highway patrolmen, beaten for “waving at white folks on the highway,” and subsequently jailed. He’d be charged with resisting arrest, disturbing the peace, and speeding, the first two charges dismissed for lack of jurisdiction and evidence. 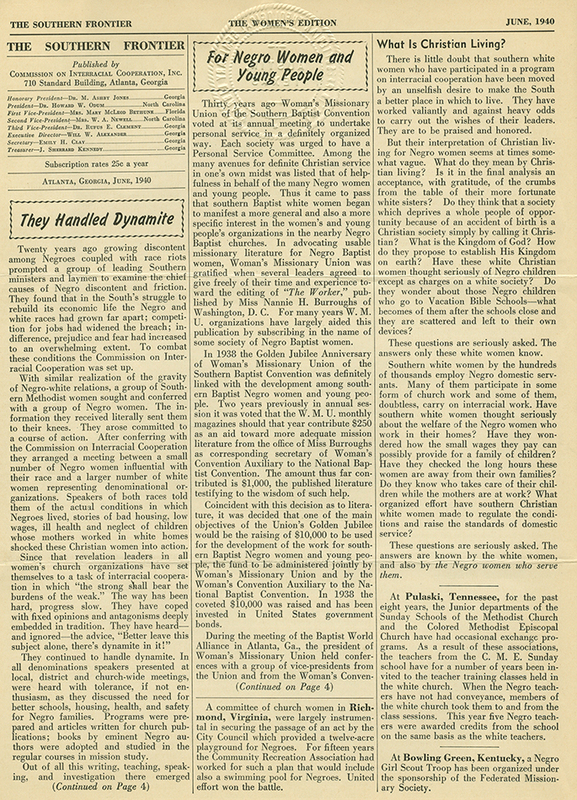 “They Handled Dynamite” – An article about two groups of Southern Methodist women, one white and one black, joining together to address the large disparity in living conditions between white southerners and black southerners. 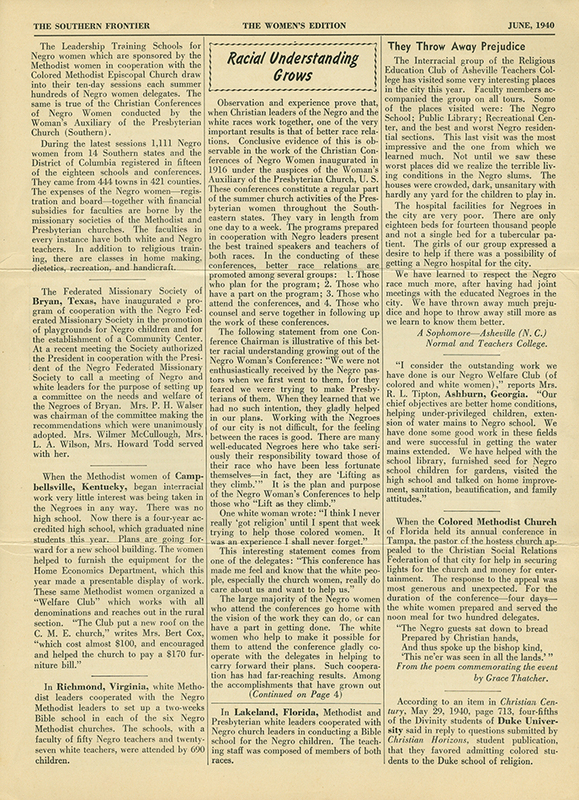 An article on p. 2 describes the role of church women in passage of an act by Richmond, Va. City Council to provide a twelve-acre playground for African Americans. The church women united with the Community Recreation Association which had worked for fifteen years to secure a swimming pool for blacks. Commission on Interracial Cooperation, “The Southern Frontier, vol. 1, no. 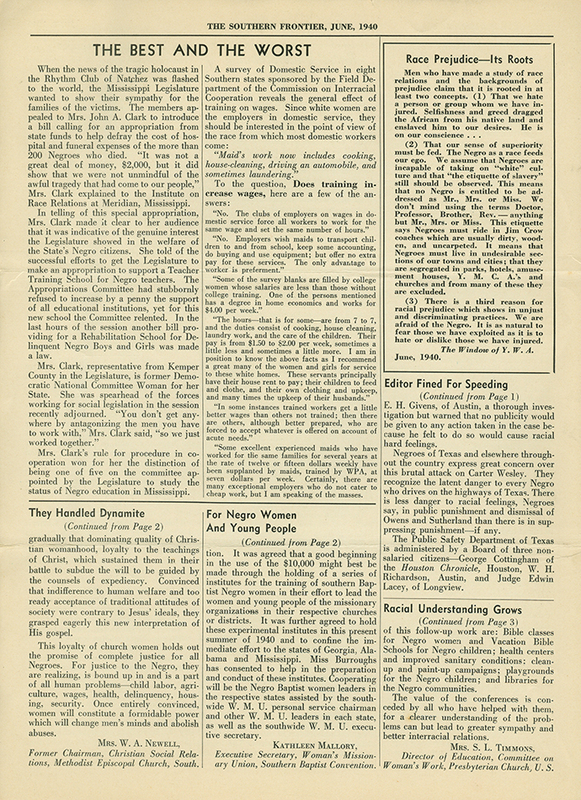 6,” Social Welfare History Image Portal, accessed April 26, 2019, https://images.socialwelfare.library.vcu.edu/items/show/357.